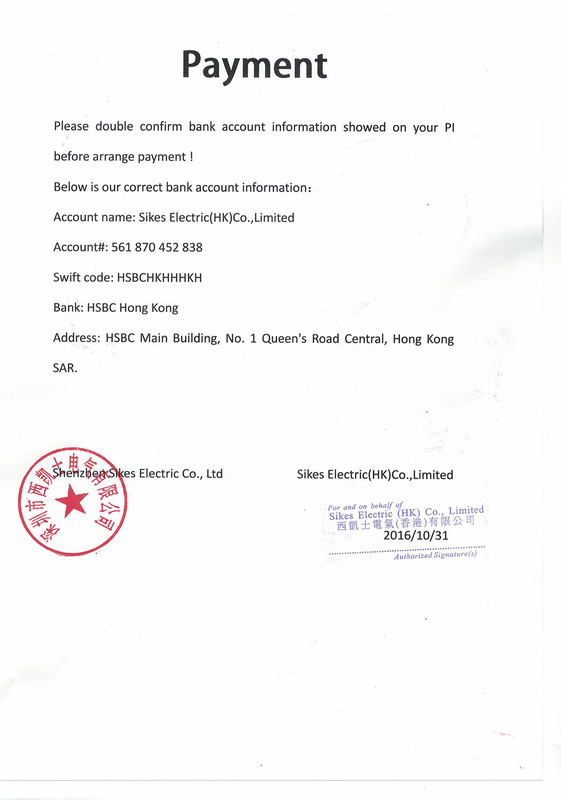 Please double confirm bank account information showed on your PI before arrange payment ! Address: HSBC Main Building, No. 1 Queen's Road Central, Hong Kong SAR.